Warm their hearts and brighten their table with this classic fall bouquet, hand-arranged in a hand-glazed, oven-to-table stoneware serving dish they'll enjoy for many years to come! 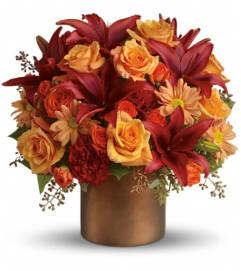 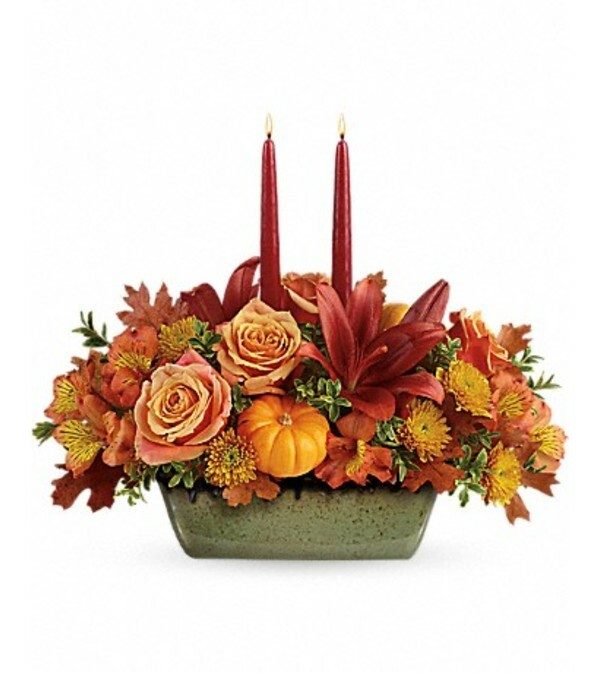 Peach roses, rust-colored asiatic lilies, light orange alstroemeria, and bronze cushion spray chrysanthemums are arranged with oregonia, miniature orange pumpkins, rust-colored transparent oak leaves and two burgundy taper candles. 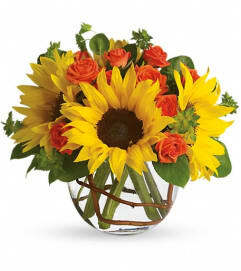 Delivered in Teleflora's Country Oven dish.